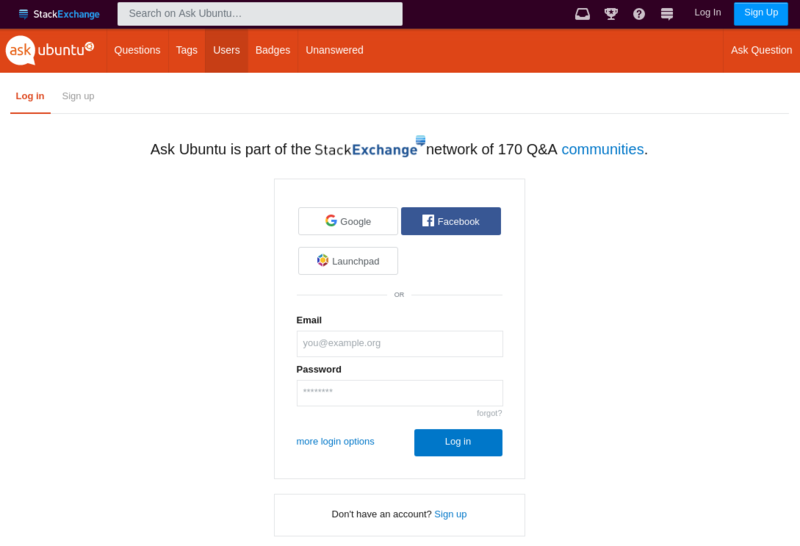 For the last two days I haven't been able to login to Ask Ubuntu with my Launchpad account. When I click on the button, it disappears and only the Google and Facebook buttons are available. I have tested it with different web browsers. What's wrong, is this a general issue or just a temporary bug? Sorry about this, I made some breaking changes to the page to fix an issue on mobile but forgot to make sure it still worked on desktop! This is fixed as of the next build which should happen sometime in the next few hours. Thanks for the report!